From the acclaimed historian and New Yorker writer comes this urgent manifesto on the dilemma of nationalism and the erosion of liberalism in the twenty-first century. 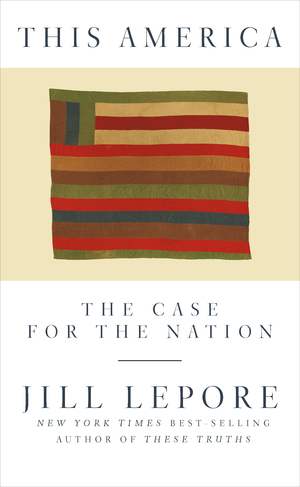 At a time of much despair over the future of liberal democracy, Jill Lepore makes a stirring case for the nation in This America, a follow-up to her much-celebrated history of the United States, These Truths. With dangerous forms of nationalism on the rise, Lepore, a Harvard historian and New Yorker staff writer, repudiates nationalism here by explaining its long history—and the history of the idea of the nation itself—while calling for a “new Americanism”: a generous patriotism that requires an honest reckoning with America’s past. Lepore begins her argument with a primer on the origins of nations, explaining how liberalism, the nation-state, and liberal nationalism, developed together. Illiberal nationalism, however, emerged in the United States after the Civil War—resulting in the failure of Reconstruction, the rise of Jim Crow, and the restriction of immigration. Much of American history, Lepore argues, has been a battle between these two forms of nationalism, liberal and illiberal, all the way down to the nation’s latest, bitter struggles over immigration. A manifesto for a better nation, and a call for a “new Americanism,” This America reclaims the nation’s future by reclaiming its past.